This Maryland bungalow redo showcases modern style and traditional charm. When Bill and Jennifer Gilmer bought this circa-1928 Bethesda, Maryland, house, its charm was long past and its shortcomings were undeniable. The roof leaked, the upstairs floors sagged, and the place was poorly insulated. Amy’s plan called for totally gutting the kitchen and turning it into a butler’s pantry, open staircase, and wide hall to access the addition in the back. The new kitchen shares space with a light-filled living area. Two features in particular steal the show in the Gilmers’ kitchen. 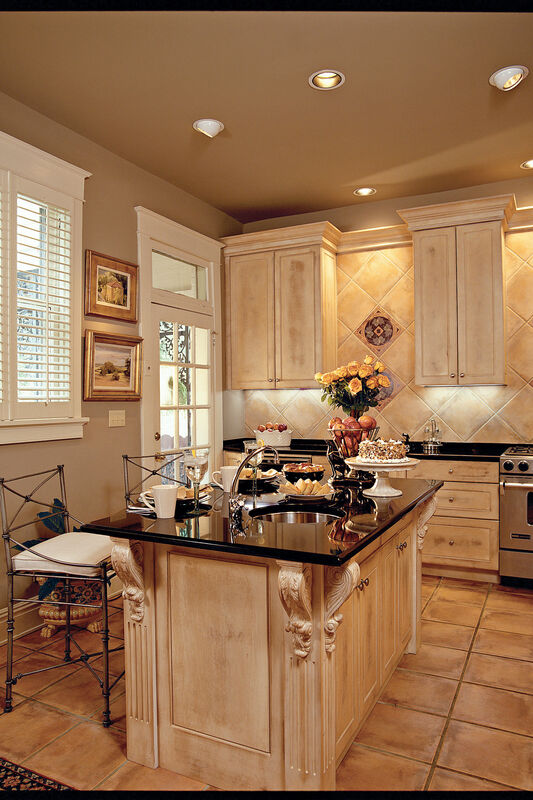 Macassar ebony-veneered stools match the kitchen’s distinctive cabinets. “Their simulated tiger-stripe grain continues the rhythm of the mullions,” Jennifer says. The Gilmers wanted to enlarge the upstairs of the house. They removed the dilapidated deck and porch and created a gabled addition at the back of the house to accommodate larger bedrooms and baths upstairs. The spiral staircase leads up from the new back garden.